We saved the best until last : ). 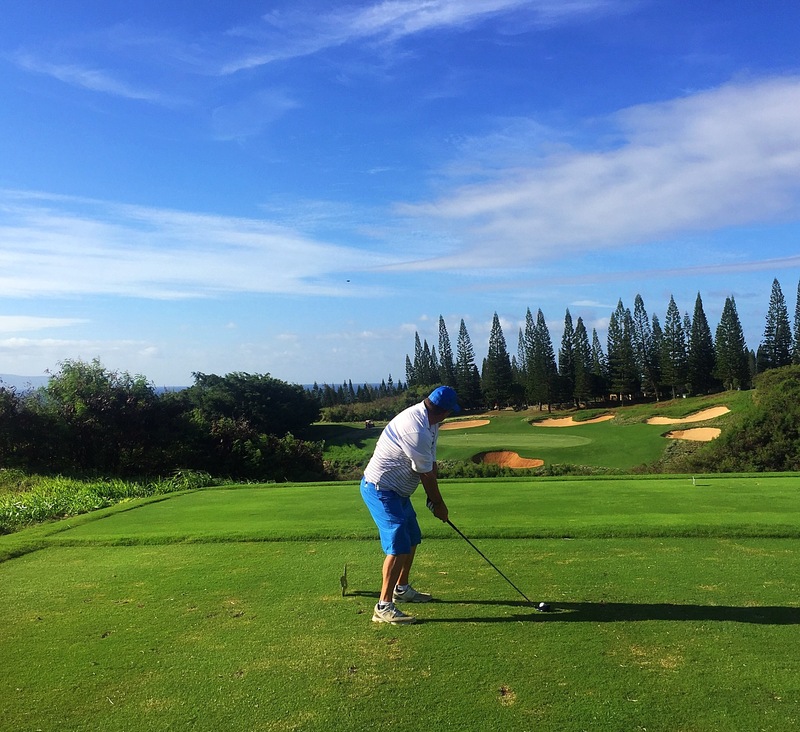 Plantation at the Kapalua Golf Resort is consistently ranked as the number one golf course in Hawaii. Steve had been fortunate enough to play here a few years ago but for Paul and I this was our first time and certainly a bucket list item for me. 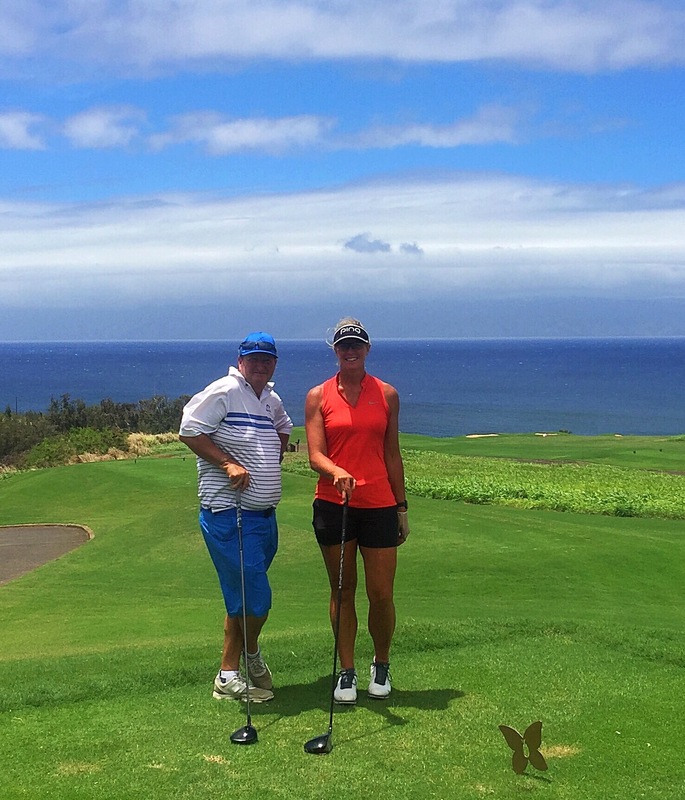 It is set on the slopes of the West Maui mountains and offers dramatic ocean views from virtually every hole. We teed off at 1pm and it was fairly breezey and some dark rain clouds lurked in the mountains. It had rained quite heavily the previous afternoon and that morning so it was cart path only which certainly made it a physical test going up dale and down dale to our balls. Plantation hosts the PGA Tour’s Sentry Tournament of Champions every January which features an elite field of previous year’s PGA Tour winners. The field has included golf greats such as Tiger Woods, Vijay Singh, Justin Leonard, Ernie ELS, Davis Love III and Jason Day. The course was designed by Ben Crenshaw and Bill Coore and opened in 1991. See below for a more detailed history of the Kapalua Resort and its commitment to the environment. The rain held off but the wind never really abated so it made for some interesting golf. It is a seriously cool golf course though and we loved every minute of it. I ended up shooting 99 so I was pretty happy with that given the challenging nature of the course and conditions. 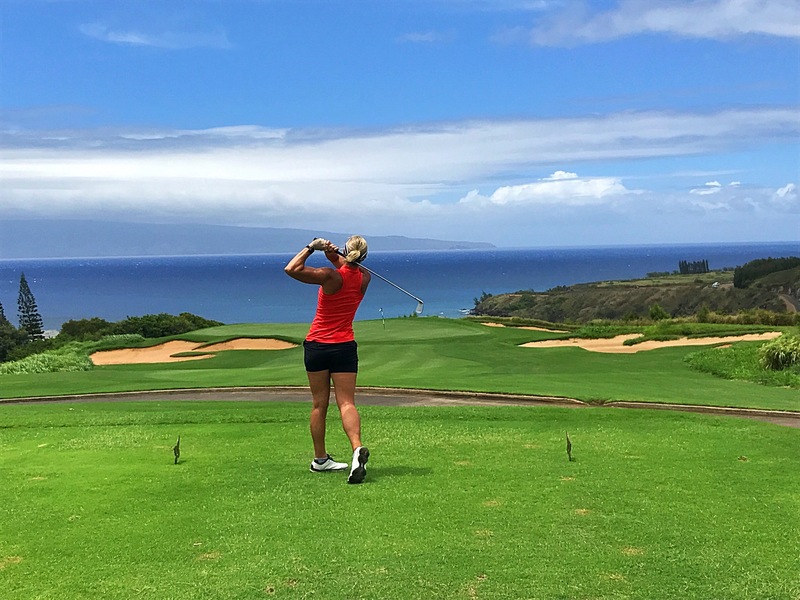 Located on the northwest coast of Maui, the Kapalua resort is well-known for its championship golf courses, world-class tennis facilities, luxury hotels and villas. 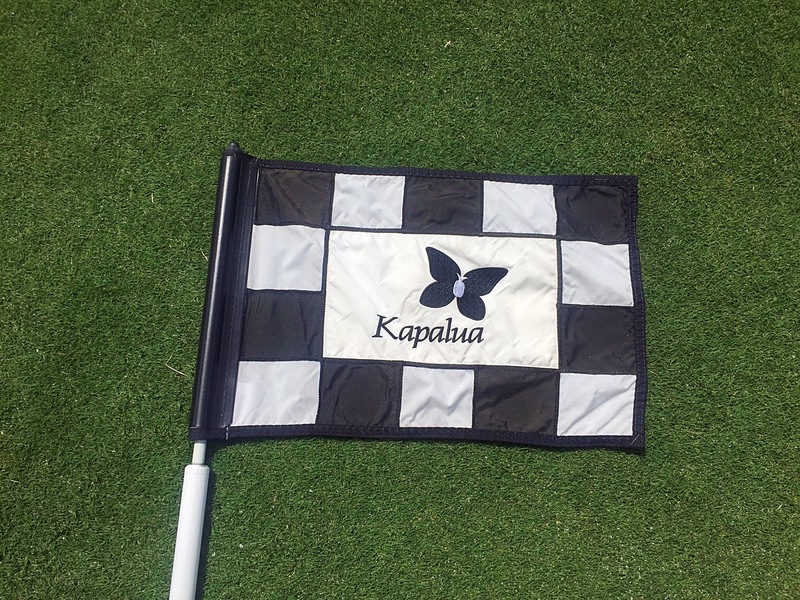 The transformation from agricultural land to the elegant resort of today is symbolized through Kapalua’s highly recognized logo of a butterfly with a pineapple it the middle. 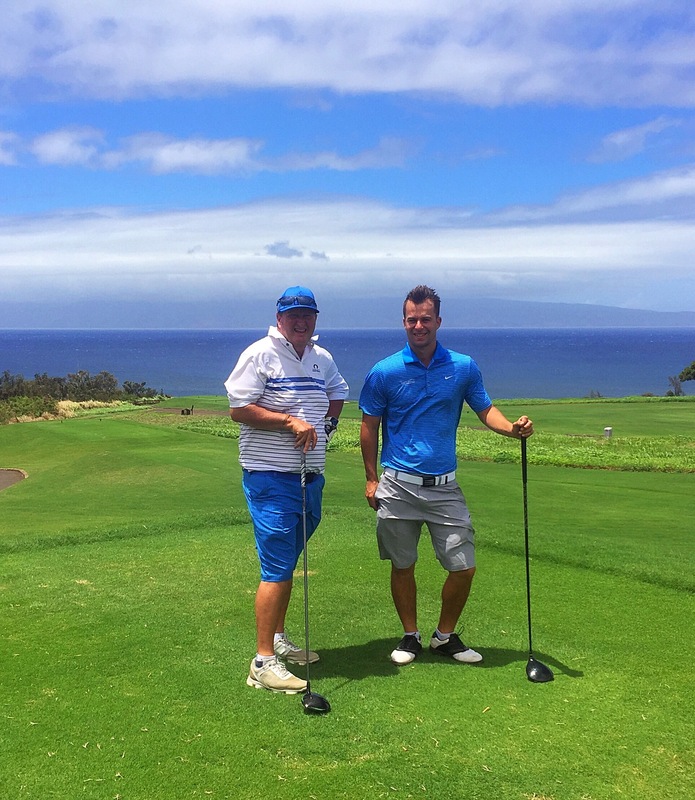 Kapalua’s roots stem from a descendent of one of Maui’s oldest missionary families. The modern history of the area began in 1836 when Dwight Baldwin, a doctor with the fourth company of American missionaries to Hawaii, settled on Maui. After seventeen years of service, Doctor Baldwin was granted 2,675 acres, the lands of the Mahinahina and Kahana ahupua’a, for farming and grazing. From that base, new lands were acquired until the holdings, known as Honolua Ranch, reached 24,500 acres in 1902. The business of Honolua Ranch included fishing, raising cattle and farming crops of taro, mango, aloe and coffee bean. It was ranch manager, David Fleming, of Scotland, who first experimented with a new fruit, hala-kahiki, pineapple. He planted four acres. One taste of the exceptionally sweet Kapalua-grown pineapple, and H.P. Baldwin, son of Dwight Baldwin, predicted a golden future for the crop. He ordered the whole coffee operation moved upland to make room for a pineapple cannery, homes for immigrant plantation workers, a railroad, store, and a new home for Fleming. In a short time, Honolua Ranch became Baldwin Packers, the largest producer of private label pineapple and pineapple juice in the nation. By 1946, the cattle operation ceased to exist. In the next two decades, Baldwin Packers merged with Maui Pineapple Company. In 1969, it became Maui Land & Pineapple Company, Inc. (ML&P), the largest employer on the island of Maui. The company’s president was Colin C. Cameron, a fifth-generation descendant of the Baldwin family. Cameron was a man of extraordinary vision. 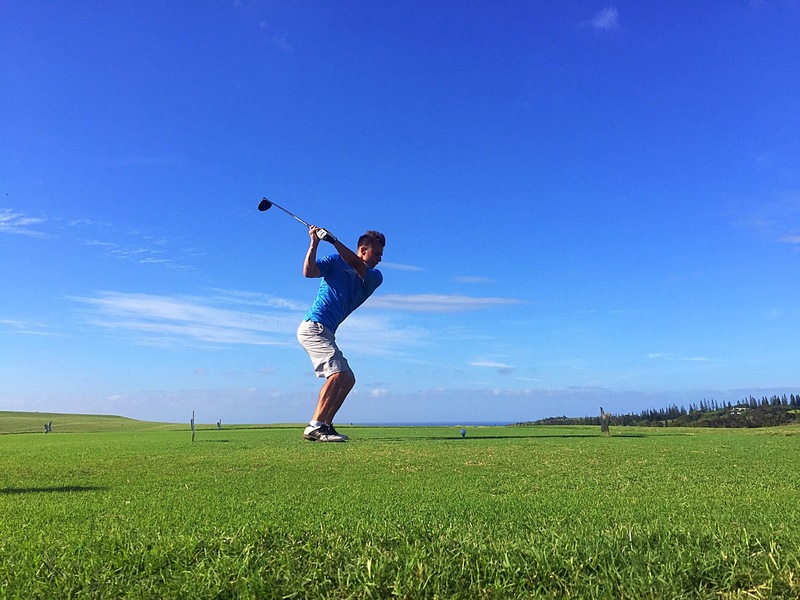 In a rapidly changing Hawaii, he saw Kapalua as a sanctuary for both man and nature. To that end, he conceived a resort that would abide in harmony with its environment, fulfill the historic destiny of the area, as a place of culture, a playground fit for royalty, and a special place of the spirit. 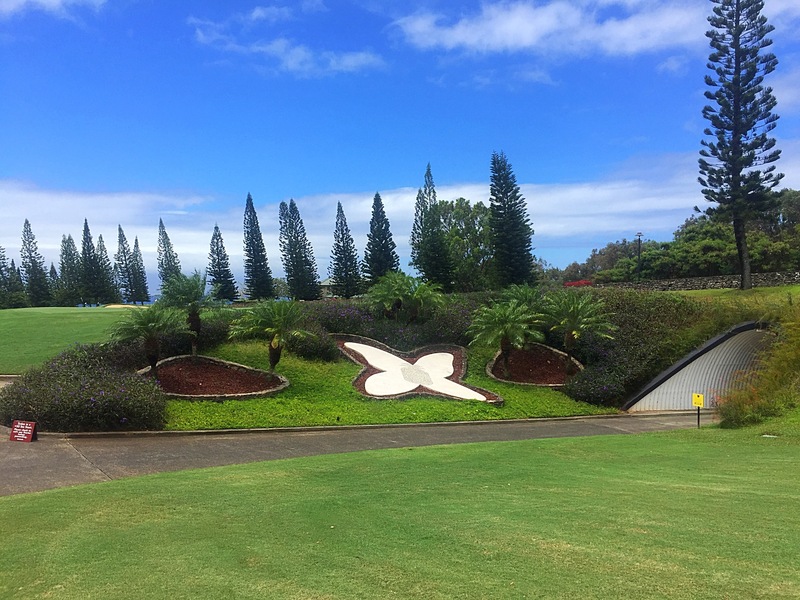 Kapalua was designed as a master-planned resort community where all development conformed to the contours of the land itself, rather than imposing man’s ambitions on nature. Respect for the past, a present committed to enrichment of life, and a sense of responsibility to future generations were integral to the design. Today, the resort encompasses 671 homes, homesites and condominiums; three championship golf courses; a wide variety of restaurants; two championship tennis facilities; a vacation rental program, The Kapalua Villas (managed by KLC); and two premier hotels — The Kapalua Bay Hotel and The Ritz Carlton, Kapalua. Open spaces and a precious sense of solitude are built in, for the resort is 1,650 acres surrounded by a 23,000-acre working pineapple plantation. Many of the old plantation buildings have been recruited to new service. Part of the original pineapple cannery has become the new Art School at Kapalua, and the rustic Honolua Store with its homey front porch is still open. D.T. Fleming’s gracious old plantation home grandly sits at the top of Pineapple Hill and Hawaiian hymns still ring out on Sunday mornings from Sacred Hearts Church. 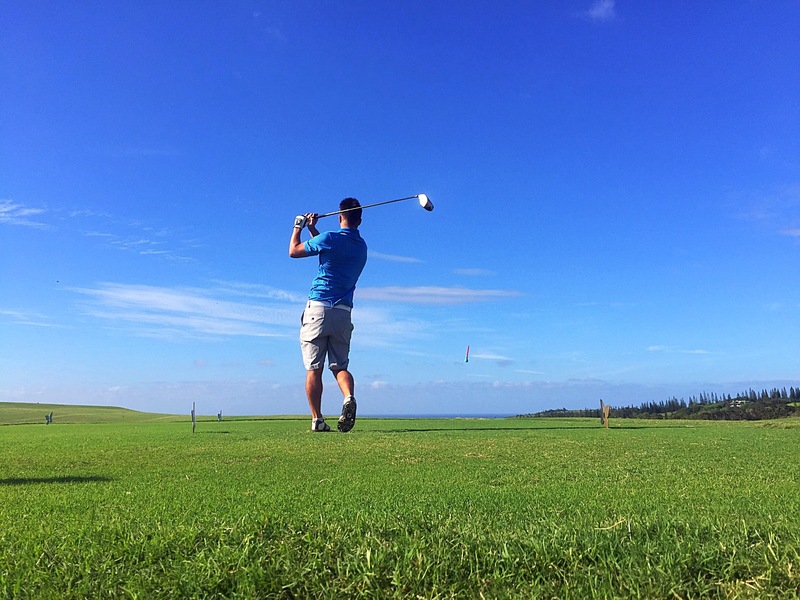 Wide open spaces of a different sort are also found at Kapalua. 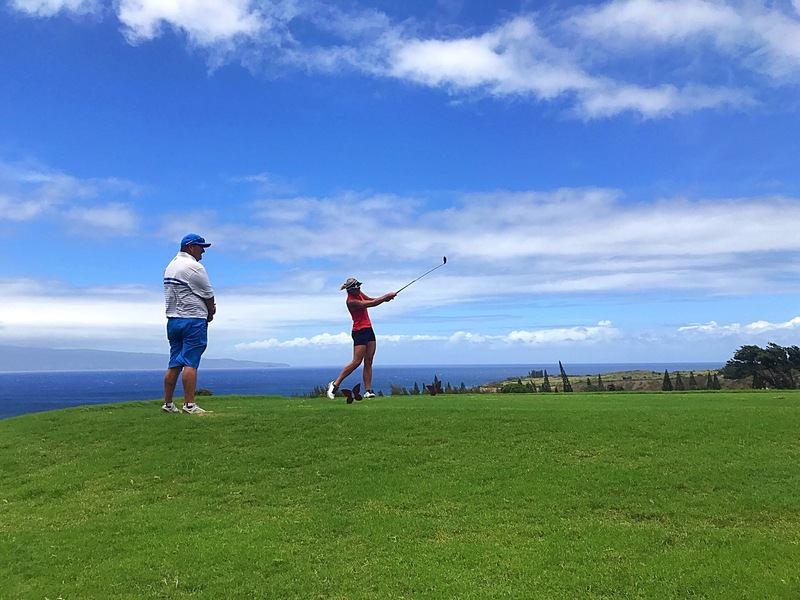 The resort is one of a few Hawaii resorts that offer three championship golf courses. 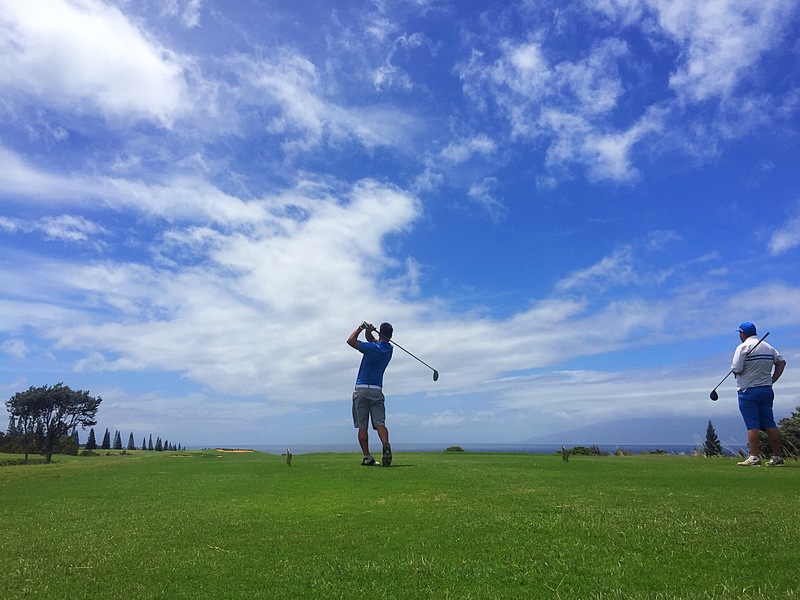 Stretching from the pristine West Maui Mountains to the azure Pacific Ocean, Kapalua’s golf courses ( The Bay, The Village and The Plantation ( capture Maui’s stunning natural terrain and diverse topography. They are three courses of dramatically distinctive character, each venue fine-tuned for players of all abilities. Arnold Palmer designed both The Bay Course and The Village Course. The forerunner of Kapalua’s three championship golf courses, The Bay Course opened in 1975. It is a 6,600- yard par 72 with gently rolling fairways and generous greens. 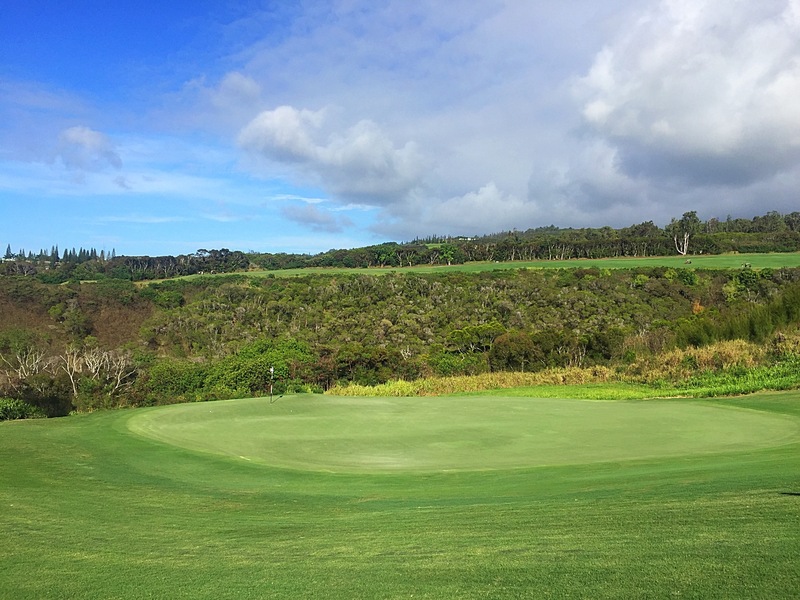 Kapalua’s Village Course twists, turns, rises and falls through the West Maui foothills. 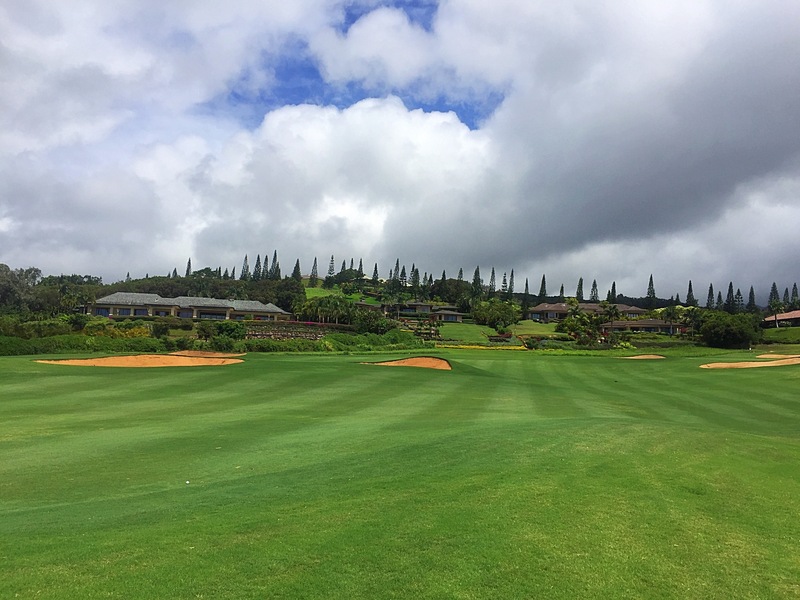 A serene trek through forested Hawaiian headlands, stands of Cook pines and Eucalyptus remain scattered throughout the par 71, 6,632-yard course. 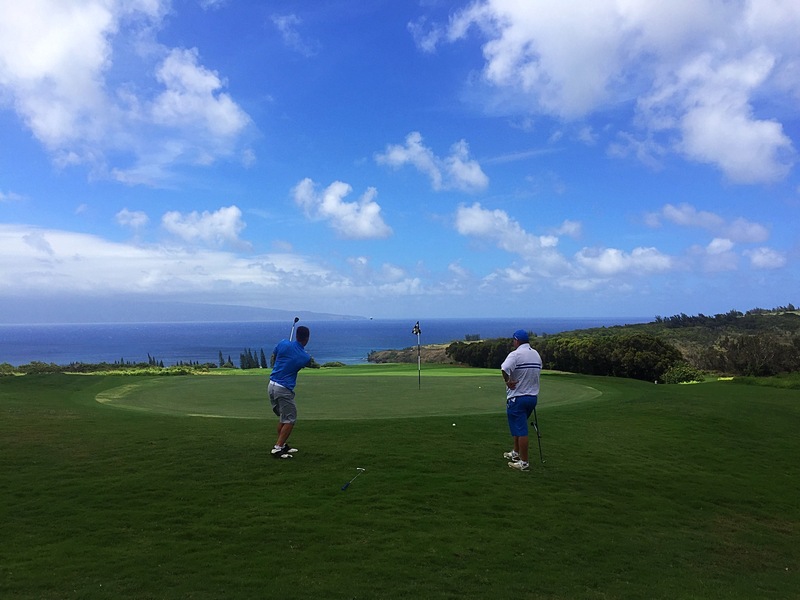 The resort’s newest course, the par 73, 7,263-yard Plantation Course, presents Kapalua’s ultimate golf challenge. Designed by Ben Crenshaw and Bill Coore and opened in 1991, The Plantation Course unfurls across island canyons, native vegetation and panoramic oceanfront plateaus. The Plantation Course will challenge the best of the PGA TOUR in January 1999 when the Mercedes Championships makes Kapalua its new home. 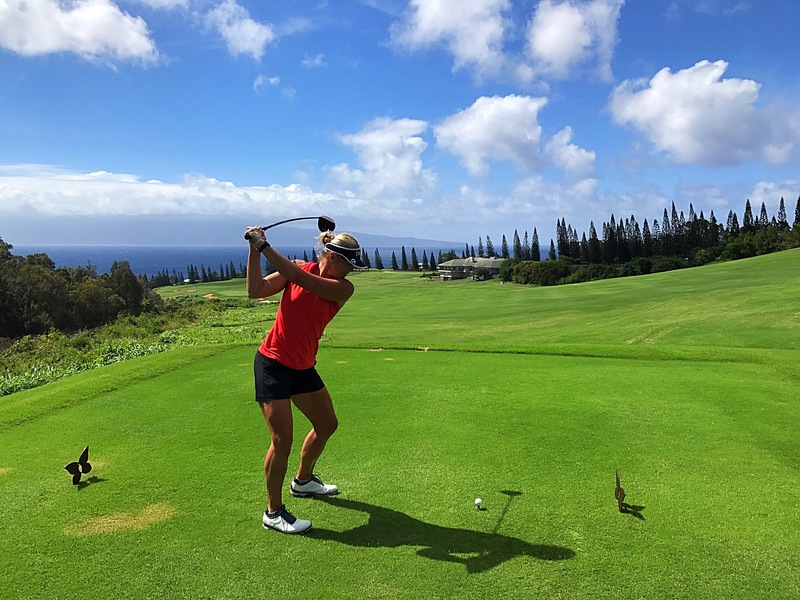 Though many know Kapalua for its outstanding golf, in recent years, the resort has gained recognition for its commitment to the environment and their conservation efforts. Kapalua’s trend-setting conservation programs include partnership arrangements with the State of Hawaii, The Nature Conservancy of Hawaii and Audubon International; the development of a code of environmental ethics; marketing of enrichment travel packages with partial funds going to benefit The Nature Conservancy; and resort-wide dedication of all properties to the ideal of preserving the unique Hawaiian environmental and cultural heritage of which Kapalua is a part. In 1995, the Kapalua resort established the Kapalua Nature Society to foster its partnership between man and nature. Dedicated to fostering an appreciation of Maui’s unique natural and cultural treasures, this unique environmental organization oversees the resort’s Audubon International programs; publishes the semi-annual Kapalua Nature Journal; and contributes to Hawaii’s natural legacy through their Native Hawaiian Plant Reforestation Project. Additionally, all three golf courses are “Certified Audubon Cooperative Sanctuaries.” Kapalua’s courses received this Sanctuary designation by meeting the stringent environmental standards set forth by the Audubon International for water conservation, habitat enhancement, public involvement, integrated pest management and more. 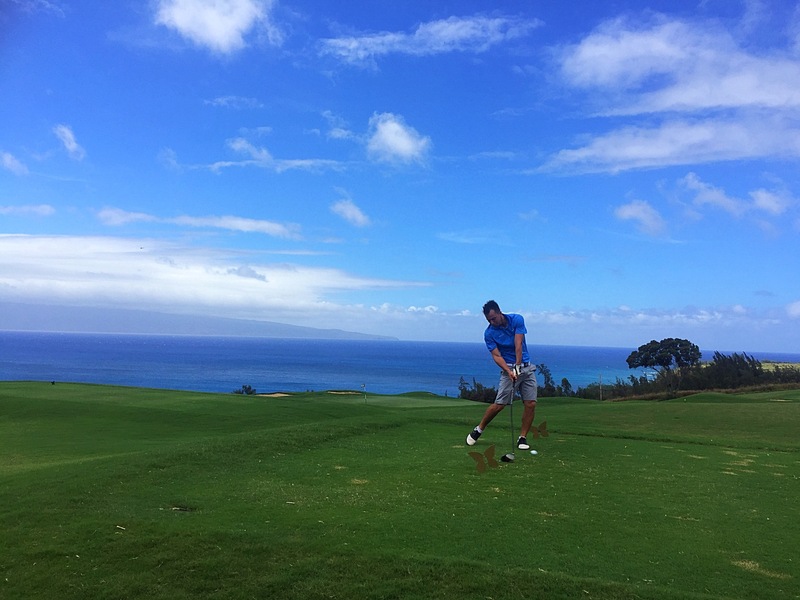 This entry was posted in Hawaii, USA, United States of America and tagged kapaluagolf, plantationcourse. Bookmark the permalink.